Many thanks for your gracious response, Rosalie. Very much appreciated. Beautiful capture of this pretty home. So pretty with the color of the house and the plants. L/tweet. Jim, thank you for featuring Village Charm in the Comfortable Art group. Darren, many thanks for featuring Village Charm in the 3 A Day Greetlng Cards fpr All Occasions group. Joan, thanks so much for featuring Village Charm in the Europe Landscapes and Scenes group. Glad you like it. Ann, Europe Landscape Feature! Wonderful! 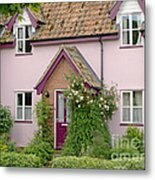 Bruce, thanks a lot for selecting Village Charm to feature in the Architecture group. Your gracious comment is appreciated and an encouragement. Thank you, Lainie. Thanks for your kind comment, Nina. Glad you like the house. What an adorable house! Lovely capture! Thank you very much, Robin-lee. Glad you like it. Lovely charm and character Ann! Will, Cheryl, Karol and Tara... my thanks to each one of you for your kind comment. Appreciated always. I love village charm....great capture, Ann! 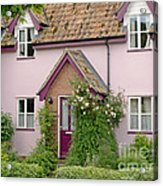 A very charming English cottage, Ann~~wonderful imagery!!! 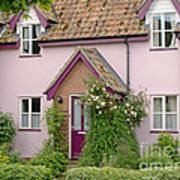 Roses and a mauve door and trim distinguish a pink house in a rural English village. 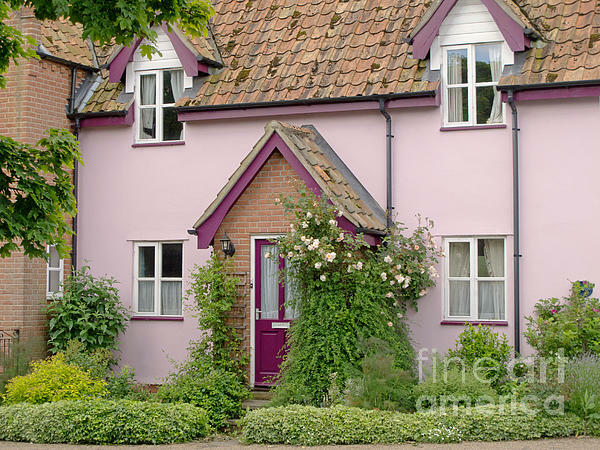 Laxfield, Suffolk, England. Copyright 2012 Ann Horn. ALL RIGHTS RESERVED. This copyrighted image does not belong to the public domain and may not be reproduced, copied, altered or manipulated in any way without the written permission of Ann Horn. ann-horn.pixels.com. pixels.com Group Features: Comfortable Art. Greeting Cards for All Occasions. Europe Landscapes and Scenes. Architecture.